The Vive Focus is a collaboration between HTC and Qualcomm to provide an untethered VR experience. It was originally intended to be a stand-alone Daydream headset supporting Google’s WorldSense environment-tracking technology, but HTC instead jumped off the Google bandwagon and produced a stand-alone VR headset specifically for China relying on its own room-tracking technology. But don’t get too excited just yet. The Vive Focus won’t be on the same visual level as the company’s Vive and Vive Pro headsets for PC. In a sense, it’s a step up from the likes of Samsung’s Gear VR headset, only you don’t need a smartphone for the Vive Focus. It’s a self-contained unit to enjoy virtual reality without the annoying wires associated with PC-tethered, high-definition headsets. Outside the removal of wires, the big selling point with the Vive Focus is that it supports six degrees of freedom: Left, right, up, down, forward, and backward. Built-in sensors essentially let you physically wander without the worries of bumping into walls, stumbling over furniture, or smacking friends and family with the included controllers. It also relies on HTC’s Viveport platform for content distribution rather than Google Play. Under the hood, HTC’s headset relies on Qualcomm’s Snapdragon 835 mobile processor and a single AMOLED screen with a 2,880 x 1,600 resolution (1,440 x 1,600 per eye). Other features include a built-in microphone, built-in speakers, a 3.5mm audio jack, a built-in rechargeable battery, a Micro SD card slot supporting up to 2TB of storage, and Wireless AC connectivity. 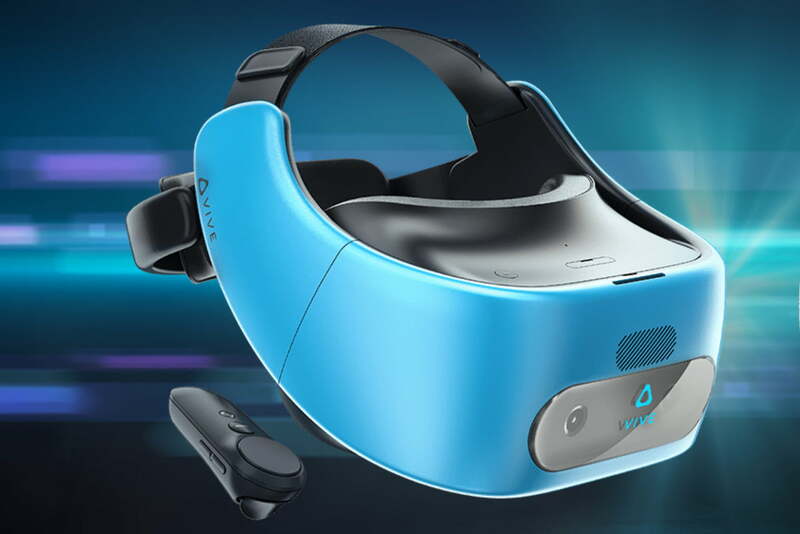 Currently, the Vive Focus is sold exclusively in China priced at $680 for the Electric Blue model and $632 for the Almond White version. Unfortunately, we don’t have specific release dates and local pricing for these units outside China just yet. “Vive Focus is designed to appeal to a wider range of mass market audiences as well as commercial/enterprise users who want broad deployment and stunning VR experiences in a convenient and portable form factor,” the company says. In addition to revealing the international release news, HTC said that developers bringing their experiences to the PC-based Vive headsets and the Vive Focus in China will receive 100 percent of the revenue stemming from title sales and Viveport subscriptions. But the window of opportunity only stretches between April and September. HTC sees this as means of “empowering” developers to create better experiences for the Chinese audience. Despite the Vive Focus hitting the international market later this year, the headset is seemingly already outdated thanks to Qualcomm’s latest stand-alone VR headset reference design. It’s based on the newer Snapdragon 845 mobile processor and includes eye-tracking technology provided by Tobii, the same company that provides eye-tracking hardware for PC gamers.